Cazenovia College Presents "Women and the 2016 Elections"
Local expert Kristi Andersen will speak on September 14. Cazenovia, NY (September 9, 2016) – Cazenovia College's 2016 Washburn Distinguished Lecture will be held on Wednesday, September 14, at 2:30 p.m. in the McDonald Lecture Hall in Eckel Hall on the Cazenovia College campus. "Women and the 2016 Elections," is the topic of the talk that will be presented by Kristi Andersen, professor emeritus of political science, the Maxwell School of Citizenship and Public Affairs at Syracuse University, and member of Cazenovia’s Town Board. For the first time in U.S. history, a major political party has put forth a female presidential candidate; however, we still lag behind other countries in terms of women in Congress and other political positions. Dr. Andersen examines the reasons why this is so, and discusses the differences it might make if more women held elected office. The lecture will be available via Livestream at livestream.com/cazenoviacollege/washburnfall2016. Dr. Andersen is a notable resident of Cazenovia. 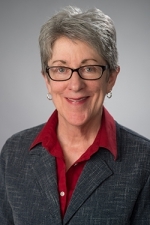 She has taught at the Maxwell School at Syracuse University for over thirty years, and was named the Laura J. and L. Douglas Meredith Professor for Teaching Excellence. The author of numerous publications, she has published three books including most recently, New Immigrant Communities: Finding a Place in Local Politics. For more details about Dr. Andersen, visit www.maxwell.syr.edu/andersen. Cazenovia College, founded in 1824, is an independent, co-educational college near Syracuse, N.Y., offering bachelor degree programs in the liberal arts and professional studies in an exceptional community environment, with academic and co-curricular programs devoted to developing leaders in their fields. Cazenovia, named one of "America's Best Colleges" by U.S. News & World Report, is also a national College of Distinction. For more information, visit www.cazenovia.edu.